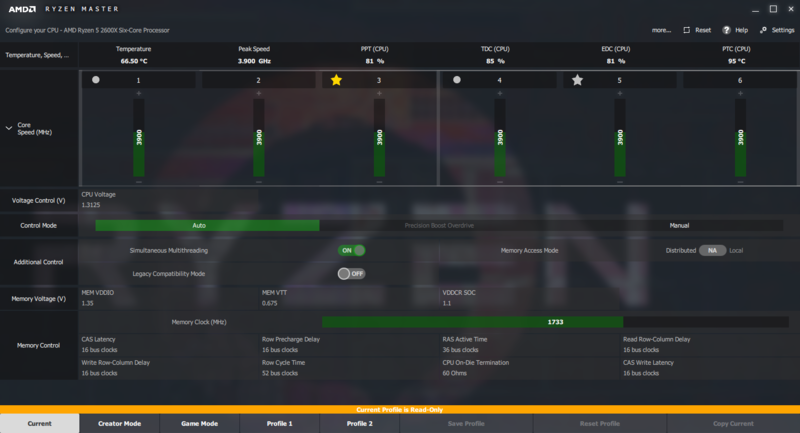 In this instalment of our Ryzen 5 2600X test, we will be looking into the backwards compatibility of the chip and see how the older B350 and X370 chipsets affect the said processor. It has been said that the 2nd Generation Ryzen processors will lose some performance when used with an older generation motherboard. AMD promised to give long-term support to the AM4 platform and you will only need to update the BIOS of your previous generation AM4 motherboard to get the latest 2nd Generation Ryzen processors to work. 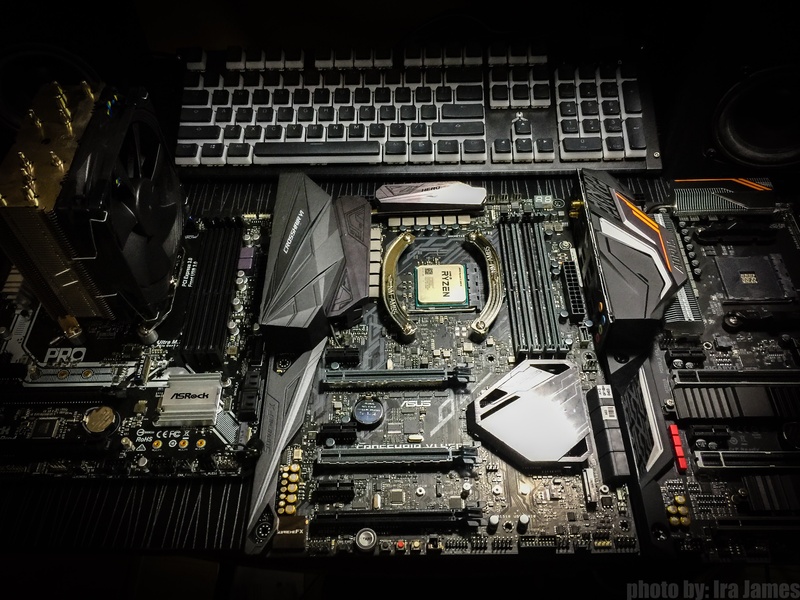 For this test, we lined up two of our previous generation motherboards: the ASRock B350m Pro 4 with the bios version 4.70, and the Asus ROG Crosshair VI Hero X370 with the bios version 6004. We will also be using the Gigabyte X470 Gaming 7 Wifi for the baseline results. 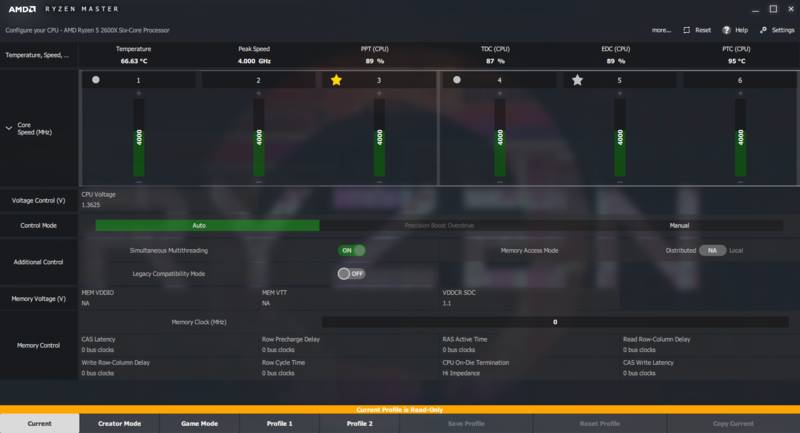 The objectives of this test is to see how the older chipsets affects the behavior of the Ryzen 5 2600X : it’s built-in AMD SenseMI technology, as well as overclocking capability. Take note that all motherboards will be used with two 8GB G.Skill Sniper DDR4 memory modules with the XMP profile clocked at 3400MHz and the rest of the UEFI BIOS settings will be left untouched. For CPU cooling, we will be using the beefy Noctua NH-D15S. Overclocking will be done using the Ryzen Master v1.3 and we’ll be doing rendering simulations with the CPU cores using Cinebench R15. 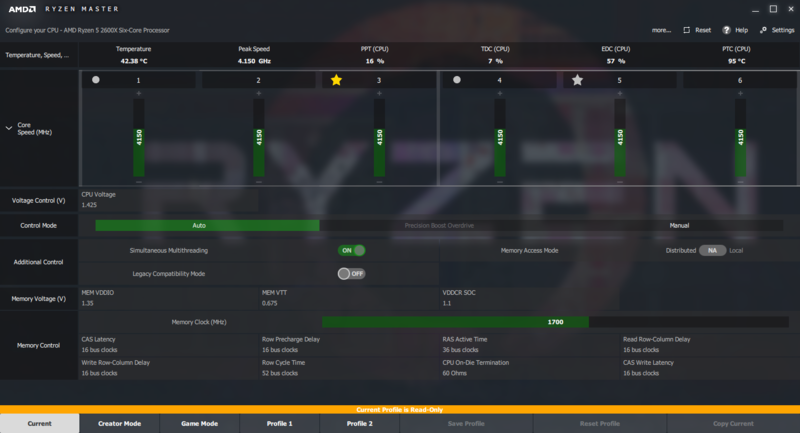 As you can see on the screenshot of the Ryzen Master above, the Ryzen 5 2600X shoots up up to 4.1GHz with 1.425v when idle with the Gigabyte X470 Gaming 7 Wifi motherboard. But as soon as we fire up the multi-core test of Cinebench R15, all the cores get’s boosted up to 3.975GHz at 1.3475v. With that, we get a Cinebench score of 1370cb. Then we overclocked the Ryzen 5 2600X to a stable 4.2GHz with 1.475v and recieved a Cinebench score of 1449cb. Next up with the X370 chipset motherboard. 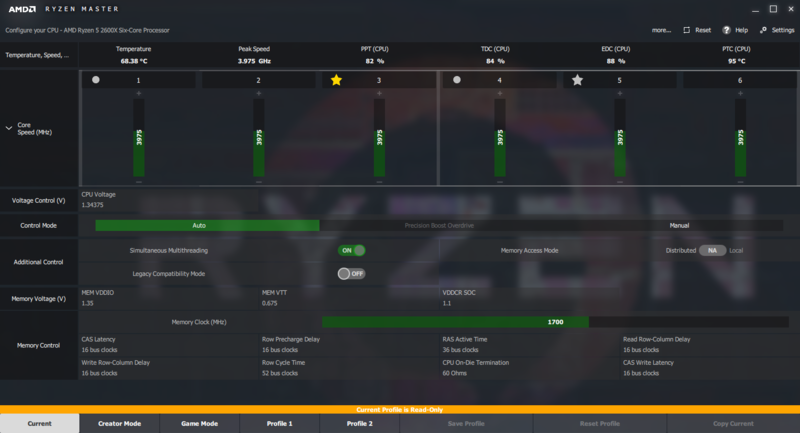 On idle with 1.35v, four of the CPU cores of the Ryzen 5 2600X (cores 2,4,5, and 6) shoots up to 4.1GHz while the other two CPU cores (cores 1 and 3) remain at 2.733GHz. Firing up the Cinebench multi-core test this time tells a different story. All the CPU cores boosted up to 4.0GHz with 1.3525v and ends up with a lower Cinebench score of 1359cb. 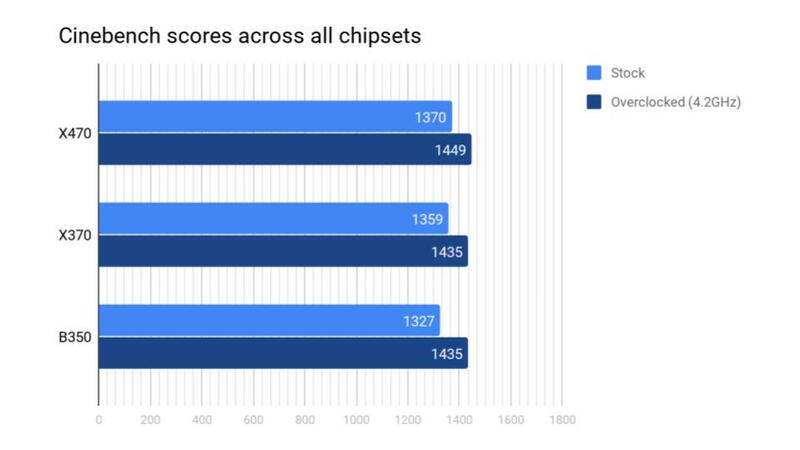 Thats around a 0.81% difference compared to the X470 chipset motherboad. It’s very interesting to note that even though the X370 chipset motherboard boosted the CPU to a much higher clock speed compared to the X470 chipset motherboard, it still got a lower Cinebench score. Pushing all the CPU cores with the Ryzen Master, we were still able to achieve a maximum stable overclock of 4.2GHz with 1.475v but we ended up with a much lower Cinebench score of 1435. That’s a 0.975% difference compared to the X470 chipset motherboard. With the B350 chipset motherboard, all CPU cores shot up to 4.025GHz at 1.3375v when idle. Firing up the Cinebench multi-core test, all CPU cores boost up to 3.9GHz at 1.3125v achieving a Cinebench score of 1327cb. That’s a 3.24% difference from the X470 chipset motherboard. For manual overclocking, we still achieved the same stable overclock of 4.2GHz at 1.47v. We got a Cinebench score of 1435cb with this and that’s actually the same exact average score from the X370 chipset motherboard. From what we have seen, the XFR2 and Precision Boost 2 improves the performance of threaded workloads by raising the CPU frequency of any number of cores depending on the given workload. Precision Boost 2 gives up to 500 MHz-higher clocks during multi-core workloads, while XFR2 adds up to an additional 7% boost if the CPU temperatures allows it. Both said technologies allows the CPU to achieve higher performance and increased frequencies based on temperature, current, and load. The Precision Boost 2 and XFR2 also works on both X370 and B350 motherboards but performance will vary, mostly favoring the higher-tier chipset. 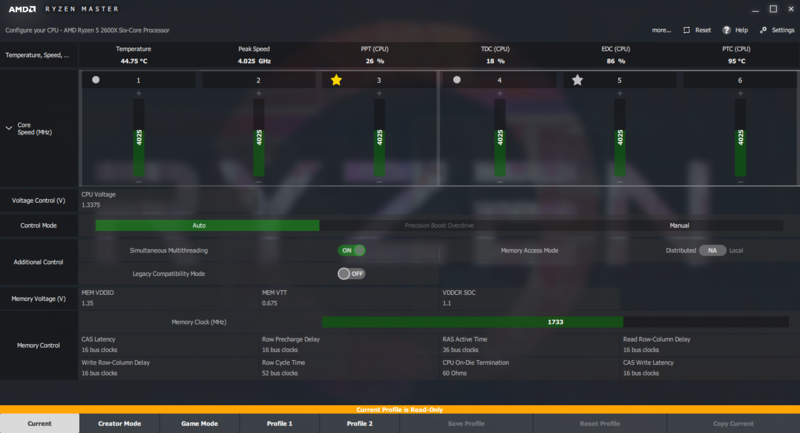 The performance will mostly be handicapped on the B350 motherboard when you’re relying on XFR 2 and Precision Boost 2 to increase your performance, but not by much. 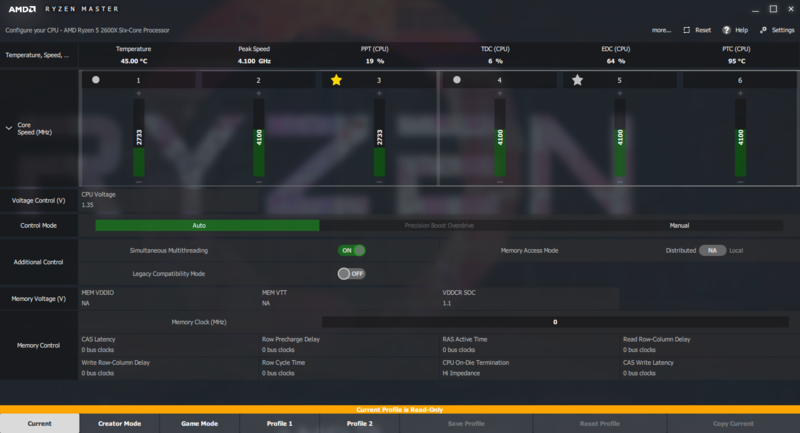 It’s also possible to overclock the Ryzen 5 2600X on the lower-tier B350 motherboards and still achieve the same stable clock speed as you would on the higher tier X370 motherboard. We were glad to see that the performance of the Ryzen 5 2600X was not handicapped that much when we used it on the B350 motherboard because this would mean that most users won’t have to pay a premium for a higher tier motherboard and they won’t be losing much of the 2nd Generation Ryzen exclusive features. How about the VRMs? To be honest we don’t think they were much hotter compared to having our Ryzen 5 1600 overclocked to 3.8GHz. We monitored the temps and voltage with HWInfo and the power draw is almost identical despite the boost in frequency. Let us know what you think of these results and as what else you would like to see in the next series of tests down in the comments below.